whilst it’s been lovely (although cold) weather the last few days i haven’t had chance to capture it. 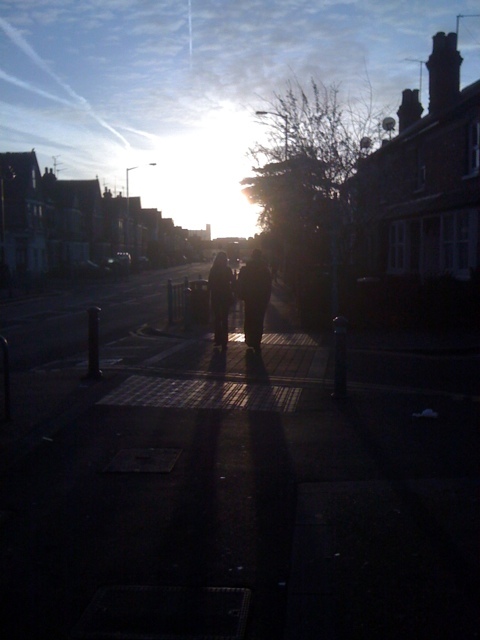 hopefully this shot comes close, taken near to my new temporary home in reading. it was a few months ago when i took a visit to the london transport museum. whilst there i took a photograph of an illustration showing how the station looked when it originally opened, curious to find out how it looked today i finally pulled into baker street and took a photograph of how it looks today. rather suprisingly and happily i saw that it hasn’t changed much. 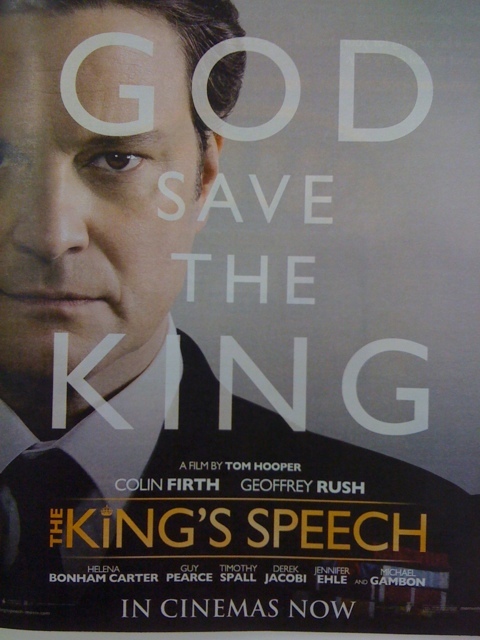 good to see that not everything is ruined on the underground. now i don’t particularly like complaining and certainly not in writing, but the stagecoach bus i got on this morning was a real shocker. the images i’ve uploaded don’t really show the state of what was happening and if i had video on my phone (someone please buy me an iphone 4 haha) then you would have been able to get a better understanding. sitting upstairs, in what was a pretty fowl stench, i noticed by my feet (as the driver pressed the brake) a gush of water flood towards the front of the bus, after which it all gushed back again when the bus accelerated. it was horrible (lets hope it was only dirty water). on top of that the was plenty of mould on the windows as well as water dripping from them, just shocking! had this been a free bus, it might be slightly more understandable, but paying an over priced fare and then sitting in conditions like that (don’t get me wrong i went downstairs in the end) are far from acceptable. stagecoach you are a disgrace, people in hull (one of the poorest areas of the uk) shouldn’t be paying high fares and then expect to board a bus in that condition! a good friend of mine (mr. joe stuart) came to visit me in london in january. 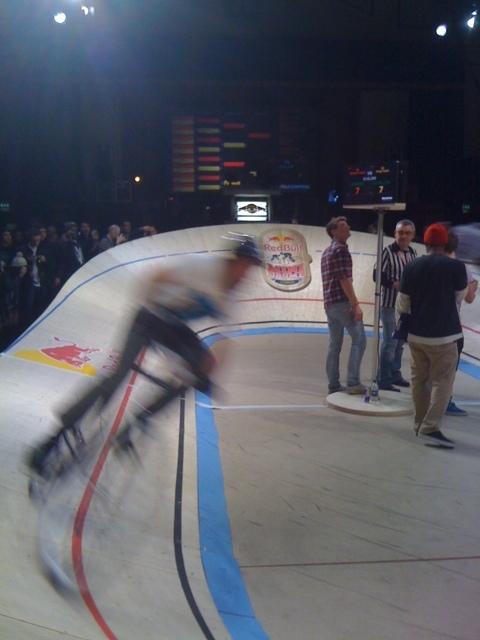 he found a fixed gear event based in bethnal green and organised by the good fellows at red bull. 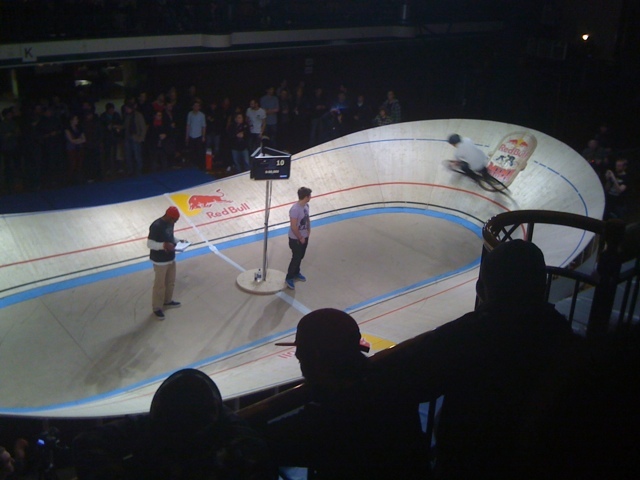 the event involved 107 contestants riding around the smallest velodrome (mini drome) in the world. 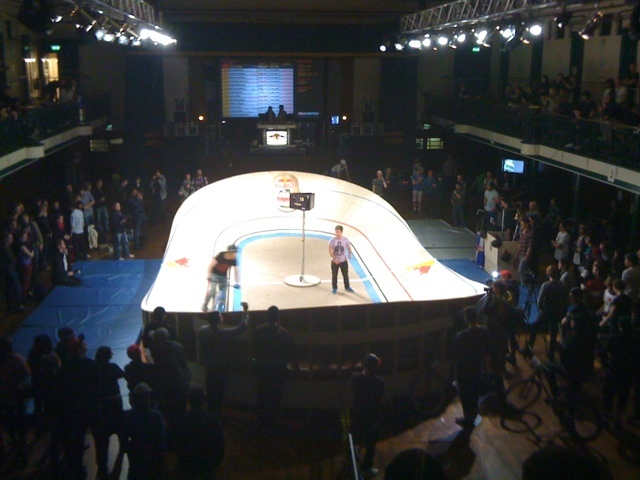 there was a qualifying round followed by head to head heats. i’ve uploaded a few crappy iphone snaps but fortunately joe had the foresight to take his little point & shoot video camera. there will be a link to the edit i’ve done using his footage soon, but until then it’s worth tapping ‘red bull mini drome’ into google. nme’s top 50 tracks of 2010.
in last weeks nme there was not only a list of the top 50 albums of the year but also the top 50 tracks of the year. the tracks (47 that are on spotify can be found in this playlist). there is without doubt a fair amount of crap, mixed with some decent stuff and a few really great tracks! unfortunately arcade fire are nowhere to be seen as their music isn’t available on spotify. headphones on? skip botton at the ready! (and a big thank you to charlie edwards for taking this photograph, i haven’t ask for your permission though, oops). snull (a mixed of snow & hull). another trip to hull this weekend. this time the snow was particularly deep. over the past week (since i made the last hull based snow post) there has been plenty of the white stuff falling from the sky. weirdly (unlike the rest of the uk, especially london) things were running pretty much as normal (just like they should). anyway here are a few snaps from the last 24 hours (or less). they don’t really show how deep it is because the pavements that i’m stood on in a few of the shots have around 6-10 inches of compacted snow between my feet and the pavements surface. its like being over half a foot taller! (the walls and street signs seem a bit low).